Home / News / Why Charter a Yacht? Imagine starting your day on the deck of a luxurious yacht anchored off a deserted beach on a tropical morning while uniformed crew members have breakfast ready for you on the sun-warmed teak deck. Your only decision is, what to do today. Or maybe you want to enjoy a gourmet lunch or dinner prepared for you by the yacht’s chef, who learned his trade in some of the best restaurants in the world. There is nothing better than an al fresco five-course dinner paired with wine on the water in the soft evening air all with the privacy of being aboard your own yacht. There are few pleasures in life that compare with chartering a yacht. There is the freedom and flexibility to do exactly as you please. It’s no wonder that the truly wealthy, from Onassis to Trump to Oprah, have chosen yachts as their method of escape. You can find superb service on many cruise ships but, on the other hand, you go where they choose. Aboard your chartered yacht, the captain will merely offer suggestions on where you should go, but should you prefer to do nothing, you will be left undisturbed. For many years, charter yachts were the province not just of the wealthy, but of an “insider’s clique” who were familiar with all the nuances and rituals of yachts. On the other hand, your options might include jetskis and windsurfers, waterskiing, sailing, snorkeling or exploring ashore. 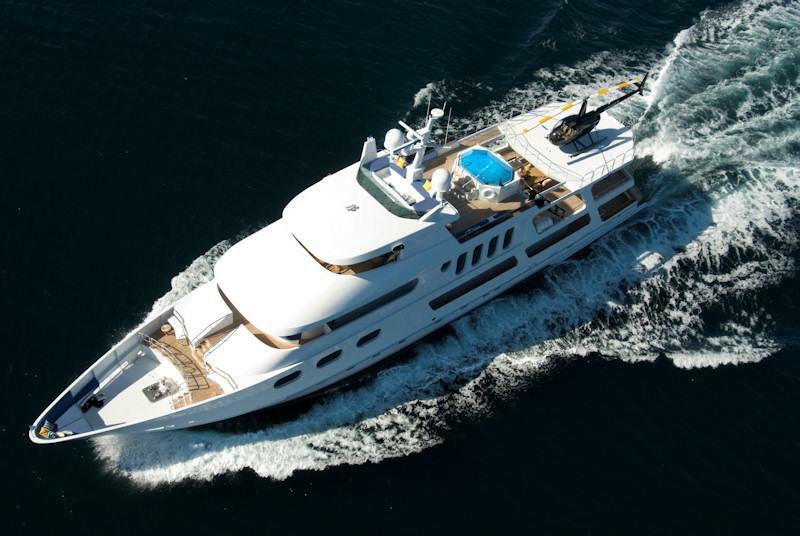 Larger yachts obviously have a wider selection of toys, ranging up to helicopters, mini-submarines and automobiles aboard the cream of the fleet. Today, however, with literally hundreds of charter yachts worldwide, the marketplace has changed. Many regular charter clients have never owned a yacht and often know almost nothing about boating. What they want is a vacation that combines privacy with exceptional luxury, and that’s exactly what a yacht charter provides. There are plenty of choices, since the number of yachts over 80-feet has gone from roughly 2500 in 1989 to more than 9000 today. With many of those in charter service either on a full-time or part-time basis, the opportunities for yacht chartering have never been better. A charter yacht is easily moved to satisfy any whim; from a gourmet picnic on a deserted atoll to fine dining ashore to club hopping until sunrise you will have the choice of anything from complete seclusion to jet-set night life. There are also a number of different charter yacht locations that you can choose from: West Mediterranean, East Mediterranean, The Caribbean and the Rest of the World. In recent years there are a number of different types of charter yachts, from crews that specialize in scuba diving to sport-fishing, there are also a number of different types of yachts for you to choose from.